I couldn't believe how quickly my item arrived in the post, arriving the next day after ordering!! Product was just as described but I needed to alter my order and add to it. I received excellent and very helpful customer service with follow up phone calls. The ordering process was perfect and smooth, and the delivery was just as good. The fridge is a perfect fit for the small area we were working with and now have the coldest beer and wine. Love this fridge, proper restaurant quality and way better than my previous Harvey Norman one. Delivery was absolutely seamless, especially compared to all the other deliveries out there which are a pain. Great service and product. It’s a very good crepe maker. It’s easy to use and clean and makes good crepes. What is more, you don’t need an electrician to connect the device. The chain screen arrived much sooner than I had anticipated. Installation was very simple and completed within an hour. So far (2 weeks) it has managed to keep out all insects, mostly blow flies, and the moggie has come to terms with it almost straight away. No problems. I used restaurant Equipment online for the first time this month due to lack of customer care with my previous supplier. I only wanted a replacement jug for my blender but the service I got was excellent. Fast delivery. I will defiantly go to them again as my first port of call for supplies. 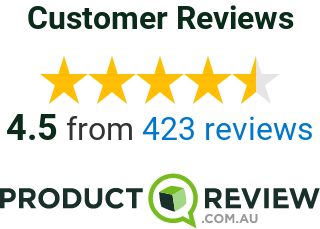 Great Product price was competitive and delivery was quick and well communicated. Would buy from here again and recommend to my friends and family. Thank you for making the purchase easy. Restaurant Equipment Online is a Commercial Kitchen Equipment supplier for many industries in Australia including Hospitality, Education, Aged Care, Medical and Building. We assist with design, estimation, manufacturing, supply and fitout of commercial refrigeration, cooking equipment, coffee and beverage machines, furniture, dishwashers, stainless steel benches, point of sale systems and other food service equipment. We deliver catering, kitchen, cooking and food equipment to all regional towns and major cities including Sydney, Brisbane, Melbourne, Adelaide, Darwin, Gold Coast, Wagga and Perth. Our dedication is to our customers and we offer unrivalled customer support, which is why our customer service center is available to take your call 24 hours a day, seven days a week. We carry more than 10,000 different products online, so you have a wide variety of equipment to choose from. We're also proud to sell directly to the public as well as to private organisations such as builders, architects, cafes, restaurants, hotels, early-education centers, schools and grocery stores. Whether you have a quick question about a product, need a custom quote for a large list of equipment or have an inquiry about your order, our customer service center is available to take your call 24 hours a day, seven days a week. You can also chat with us on the website or use our contact form to email us directly. If you are in New Zealand and would like to purchase from us, please visit our New Zealand website. When you run a restaurant, kitchen, hotel or café time is everything. There are no shortcuts that can be taken in terms of preparing food, no substitutes for great quality and therefore you are constantly on the clock and at the mercy of time. As such, it is vital that you have the best equipment in place to ensure that your service is not limited in any way, and, assuming your staff is up to the task, your reputation is not affected. Here at Restaurant Equipment Online, we make the best commercial kitchen equipment Australia has to offer available at the lowest possible prices. This means that when you need to upgrade your kitchen so that it works in a much more timely fashion, or in the event of a sudden failure of your current equipment, you can rely on us to have you up and running faster than any other supplier and for a fraction of the cost. Our ability to do more for less, and faster, stems from our automated ordering system and the fact that we are able to leverage our suppliers’ warehouses. This reduces our overheads, which means that we can reduce the cost of our goods, since there are far fewer mouths to feed on our side, so to speak. At Restaurant Equipment Online, we are proud of the network of commercial kitchen equipment suppliers that we have in place all around the country, and their national presence means that we can get goods to you faster than anyone else. We are very much a customer-centric organisation and to ensure that you can access our goods when you need them and incur a minimum wait time, we process orders twice daily. The good news for those that order before midday is that you order will be shipped the same day. What’s more, our customers can avail of a friendly and knowledgeable customers service team 24 hours a day, 7 days a week. Regardless of whether you prefer to chat online, email or speak with someone on the phone, rest assured that we are here to assist you and make sure that you can get what you need when you need it. What’s more, even those that are not engaged in business activities in the food industry can shop with us. So, no matter if you are a private buyer or a major hotelier, rest assured that you will be able to access the best brands right here at Restaurant Equipment Online. So, if you are seeking out restaurant kitchen equipment for sale or if you are looking for a great appliance that will complement your kitchen and make those cook-offs that bit more fun and engaging, look no further than here at Restaurant Equipment Online. A couple of clicks is all it takes to bring the best equipment on the market to your premises for less and get your kitchen back on schedule.